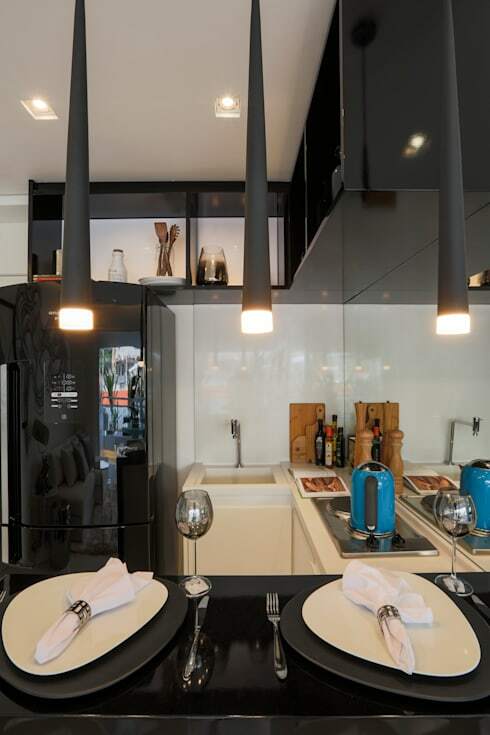 A modern kitchen is one that makes use of the limited space that most of us have in urban quarters, even as it brings in a sense of style to dwell in the often open spaces. 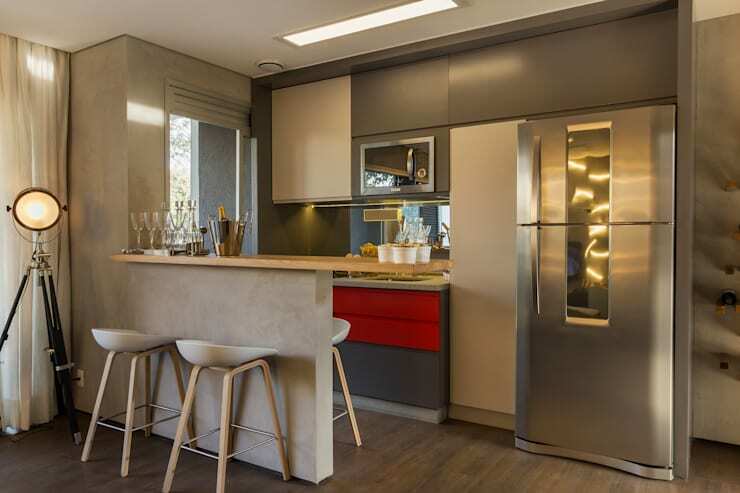 If you have been looking at updating your kitchen to make it a more modern space, then here are 14 tips to help you do so in an effortless manner! Ceramic has a smooth and even look that matches well with sleek surroundings and all kinds of glossy or gleaming fittings. 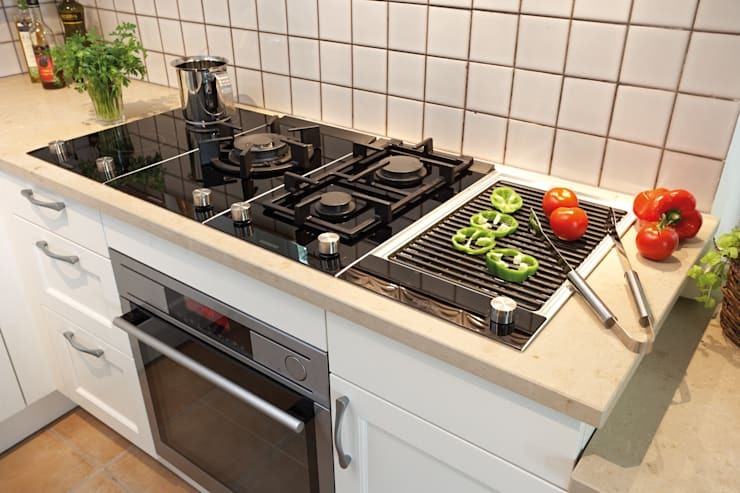 Use counter tops that are robust and withstand high temperatures. For this, you will need to choose high quality material such as natural stone, solid surface counter tops which mimic stone or laminate. 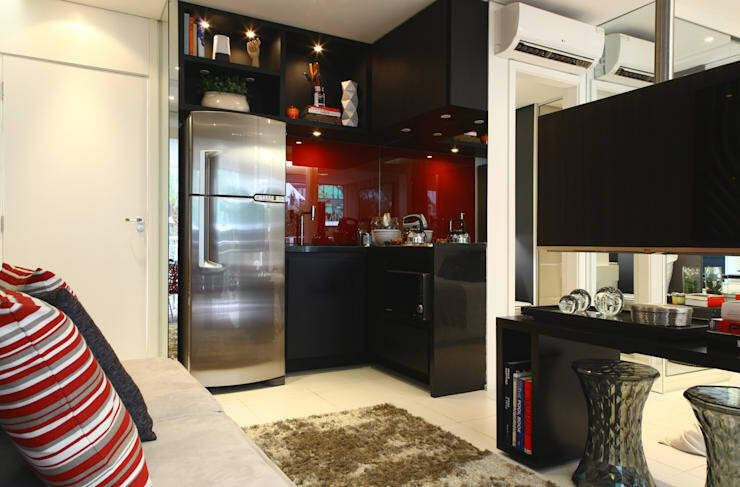 Installing and using small appliances and fittings can lead to an expansion of the space in the visual sense. 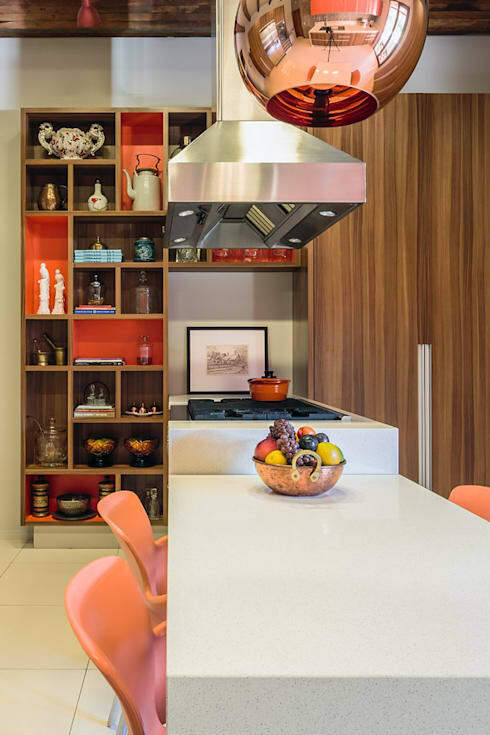 This cozy kitchen was designed by the architects at STUDIODWG ARQUITETURA E INTERIORES LTDA. 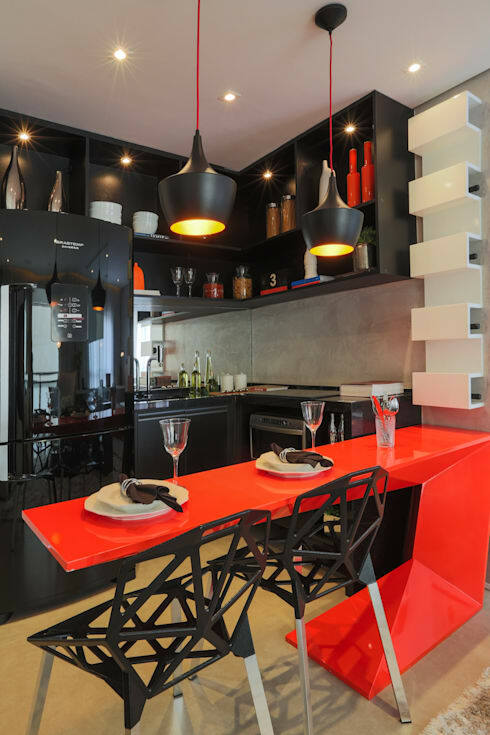 Transform even the smallest corners of your home in order to create the kitchen of your dreams. Make a statement with bold colours and a defining scheme. 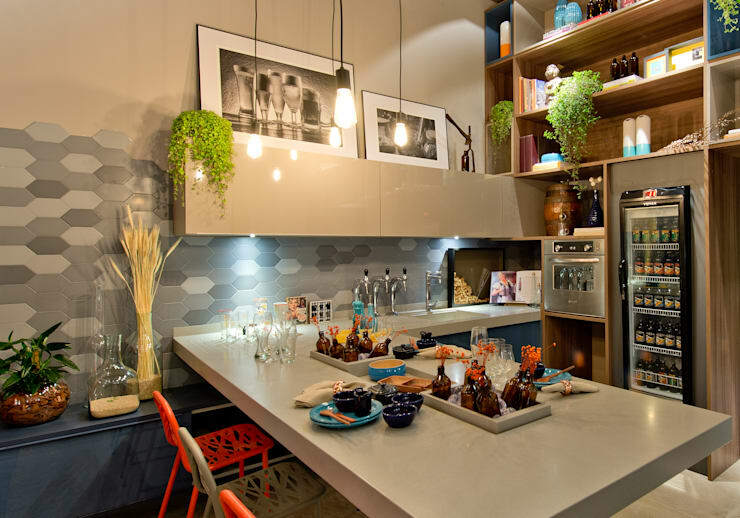 You can create a smart bar in your kitchen by installing a shelf over the main wall of your open kitchen. Use spiffy lighting to make a lasting impression. 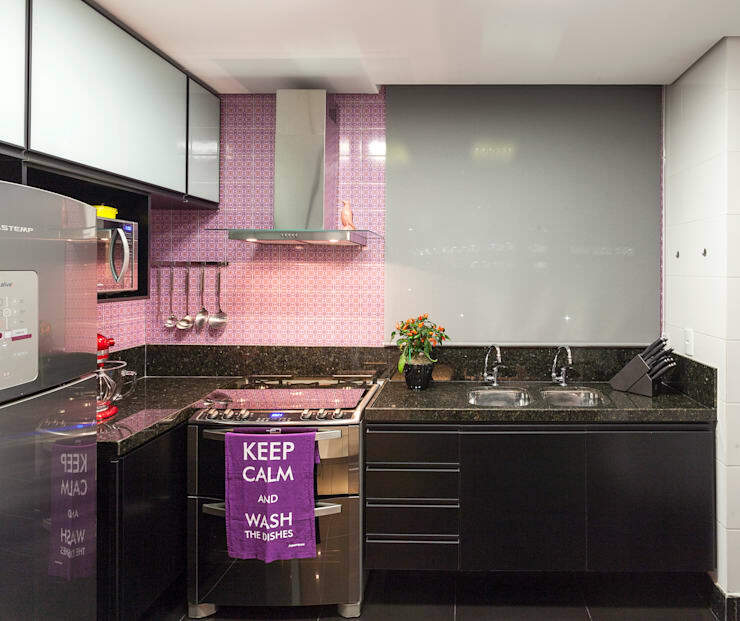 Glass is an option that is easy to clean and maintain because it is a clear surface that can be wiped down with any of the many solutions found in your super market. Use bold colours to give your space a creative splash and enhance the surroundings with unique textures and structures. 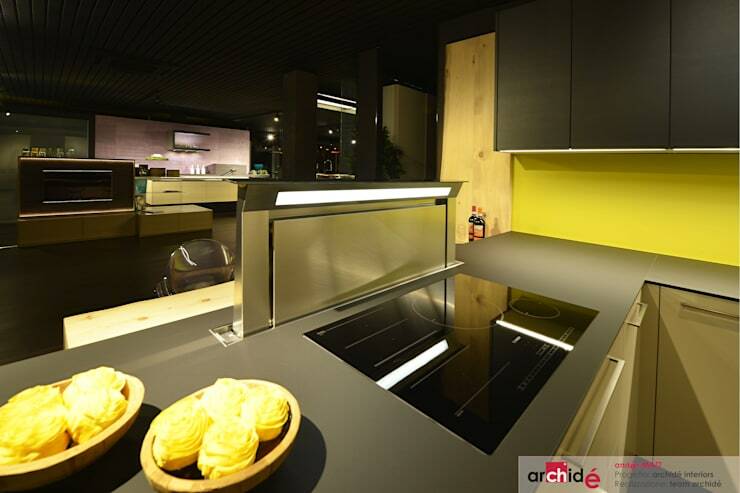 You should make use of the latest models for the stove and other appliances so that your kitchen is absolutely up to date in terms of looks and functionality. 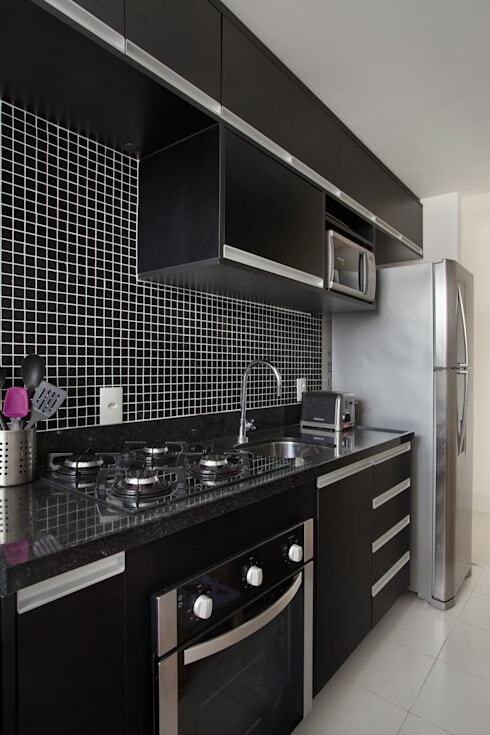 You must make use of a large hood, preferably in steel, so that it absorbs all the odors and smoke that emanate, while you are busy whipping up your favorite meals in the kitchen. 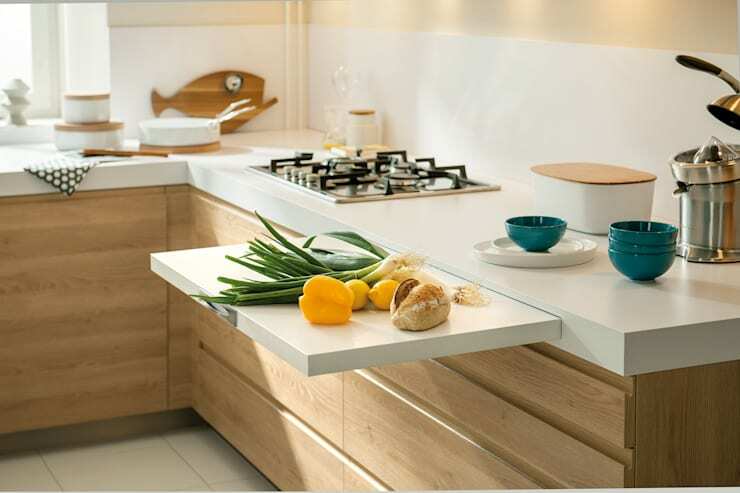 Create extensions for your counters and island with the help of wood, which has a comforting and homely feel even as it is easy to work with. You can also maintain it more easily than most other materials. 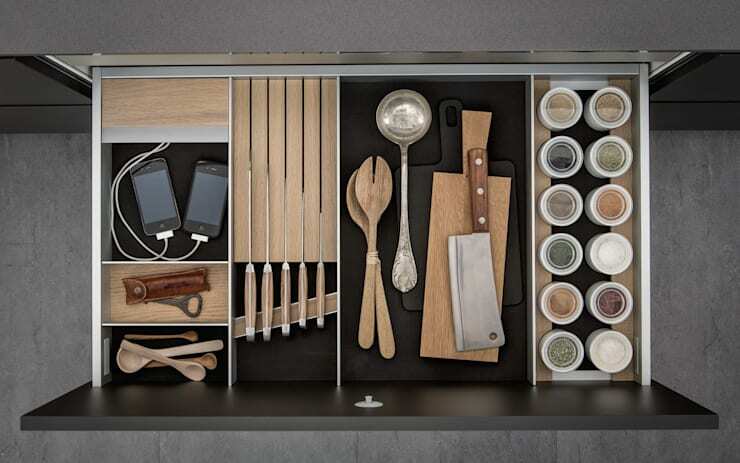 You will need to keep your drawers and cupboards organised with your utensils and other cooking essentials so that you do not have to hunt for them while you are in the kitchen. 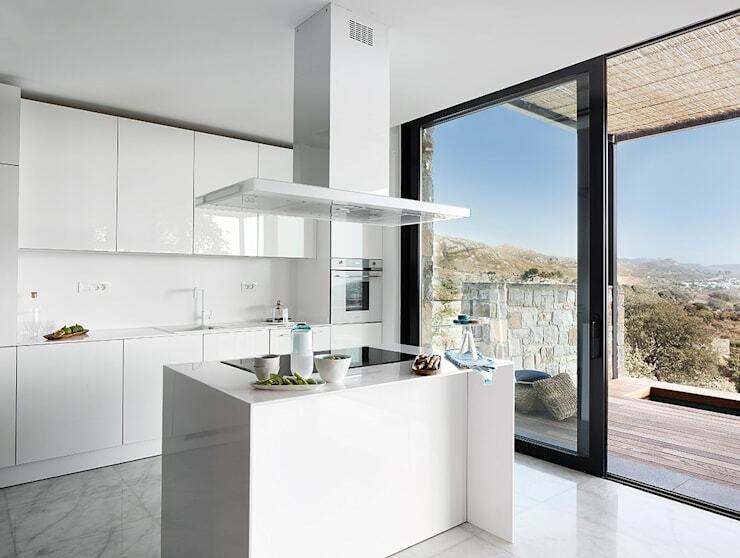 Choose elements like granite and steel for your kitchen as these stand out and shine due to the richness of their composition. Bring in plenty of warmth and functionality with the help of pictures and bookshelves in this space so that it becomes a more lively and multi-functional space. Personalize this space with pieces that you love in terms of clocks, lamps, crockery and much more. Also, add some family pictures and your favourite posters. For more inspiration, check out another story - 7 budget-friendly ideas to upgrade your kitchen.